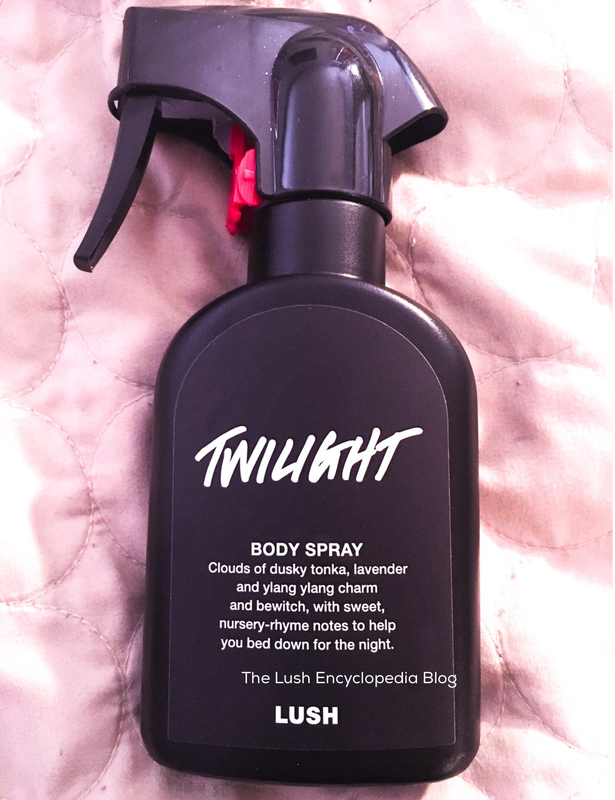 Posted on August 8, 2017 by Lushalot	• This entry was posted in Perfumes, Uncategorized and tagged Lush twilight body spray, new Lush twilight spray, twilight body spray. Bookmark the permalink. When will this come to NA?! Yikes. Yeah I was wondering too so.i was looking around and it seems like they may not all 8 will be coming to the u.s. And they may or may not be the same size. If I had to guess I would say at the beginning of the new year. Hey yall! Rose Jam and Twilight both are coming to the US stores and online! Twilight will be 29.95$, and Rose jam, 39.95$ respectively. I’m seriously looking forward to it! They’re both in the Lush Winter 2017 Catalogue which is linked on the US website.